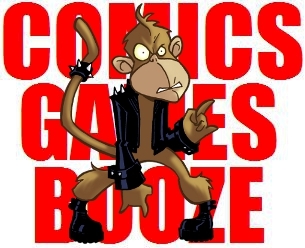 That F'ing Monkey: Incoming Holidays!! We are quickly getting to the end of the year. With that brings all the normal holiday craziness. I’ll be rushing to finish everything I need to accomplish at my real job so I can take some time off. Next week should be pretty normal but after that updates will get more sporadic. After all I have to start getting things ready for Christmas, New Years, and All Swine’s Day. If you’re new to the site, there will be more about our favorite holiday next week. I also wanted to thank anyone who commented here, sent emails, or texts about the family situation going on here. Without going into too much detail; things are headed in a positive direction. The situation is far from over but it’s better. I did end up downloading Starbound. It’s a dangerous, dangerous game. I’m pretty sure once it finished installing someone snuck into my house and knocked me unconscious. When I came to hours had passed and my little monkey person was hanging out in the underground house I had built out of cobblestone blocks. I can see myself losing a lot of time to this one. I think I need to check out another planet though; my starting one is inhabited by extremely aggressive, fire-breathing birds.